Wayanad is one of the most beautiful and pristine of all the places in Kerala. Nestled right in the heart of the Western Ghats, the place is surrounded by an abundance of greenery, mountains and everything that has to do with the natural world. It is in fact this aspect of Wayanad that has made the place famous throughout the country as well beyond. Most people happen to be stressed out to one degree or another if they are living the urban life. Naturally, a lot of them often seek out a great escape from it all and spend some time in a place where they are free to relax and unwind. This is the moment and the time when they search for places that would help them out in their quest to attain some peace and quiet, away from their everyday schedules. Then again, they might just be looking forward to having a fun time with friends and family or perhaps all by themselves, in a place that is far away from anything that resembles civilization. Such people would benefit from getting to know about some of the best resorts in a place like Wayanad, which is essentially a dream destination in every single way for them. There are today plenty of resorts in Wayanad, where one can get to spend time rejuvenating and relaxing amidst the scenic beauty of the surroundings. Some of them happen to be located right in the middle of jungle, giving people an excellent opportunity and enjoying their day amidst the beauty of nature. 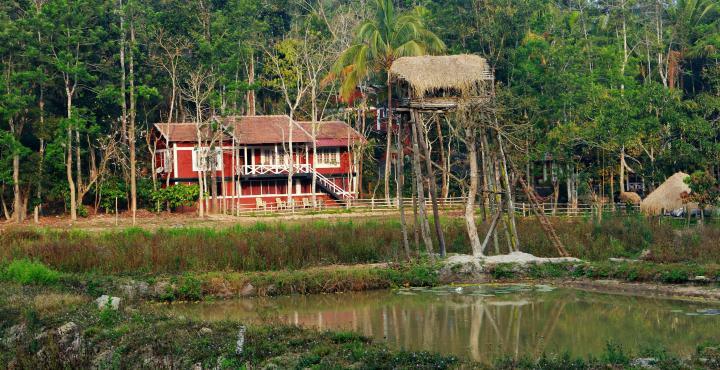 Located a short distance away from a town bearing the same name is the Vythiri Jungle Resort. Taking its name from the nearby town, the resort has become famous over the past few years by many tourists from India as well as abroad. The resort is located in a place that is surrounded by greenery on all sides and has a great many number of large trees in several locations. 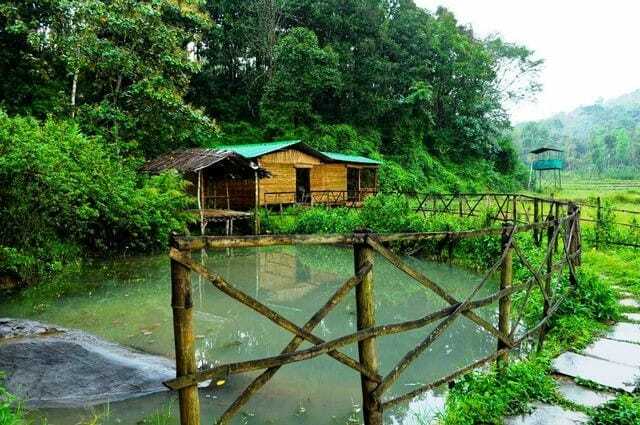 In addition to this, the place located in the middle of some of the largest tracts of greenery around Kerala that any nature lover would love to be in the middle of. There isn’t any issue of connectivity, with plenty of private and public services available here. Most of the rooms available at Vythiri are suites. The amenities that are available at the resort include, among others, Pool, Spa, Breakfast, Bar/Lounge, Free High Speed Internet ( WiFi ), Free Parking, Children Activities (Kid / Family Friendly), Room Service, Airport Transportation, Restaurant, Hot Tub, etc. The price for the rooms begins at around Rs 10,000. The Pugmarks Jungle Lodge is located in the middle of verdant greenery and makes for a truly memorable stay while in Wayanad. Situated in a place that is surrounded with greenery and an abundance of nature in all directions, this resort will give a truly breathtaking experience for anyone who chooses this place for a visit. The place happens to be in the midst of a vast coffee plantation, in addition to other kinds of natural vegetation. The resort is well connected to other areas by good roads. Both private and public transportation services are available but it is advisable to opt for private means should one be in need of a lot of convenience. The kinds of rooms offered by this resort are all standardized. The amenities available in the resort are among others, Restaurant, Free Internet, Children Activities (Kid / Family Friendly), Free Parking, Breakfast, etc. The cost factor for rooms here begins at around Rs 3000. 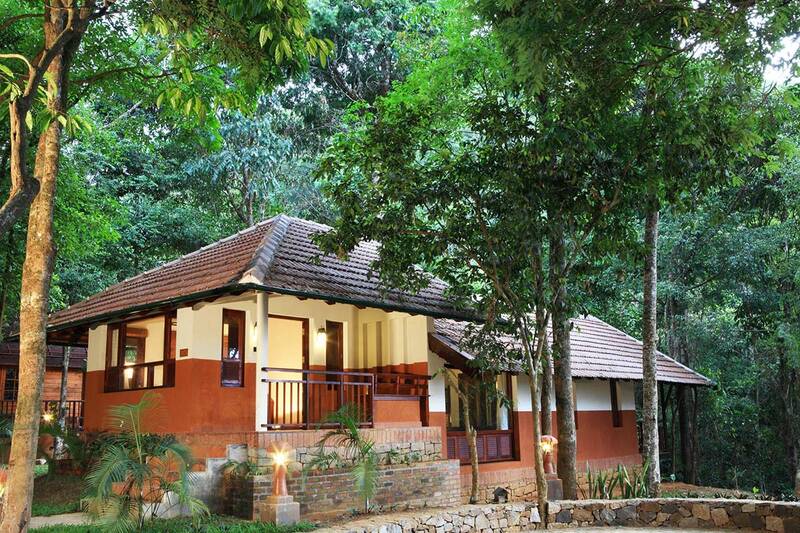 An excellent place for one to take up a stay while in Wayanad would be the Jungle Retreat. Surrounded by nature in all the directions, there is plenty of nature for one to experience by taking up a stay here. The resort is fairly well connected to the rest of Kerala. Connectivity is not much of an issue here, with both private and public services being available. It is however advised for one to opt for private transportation if the main concern is convenience, as the place is fairly remote and it can be difficult for any kind of timely service through public means. The room types at the resort have been standardized. The amenities available at the resort include, among others, Free Parking, Restaurant, Breakfast, Free Internet, etc. The price for the rooms in the resort starts at around Rs 5000. 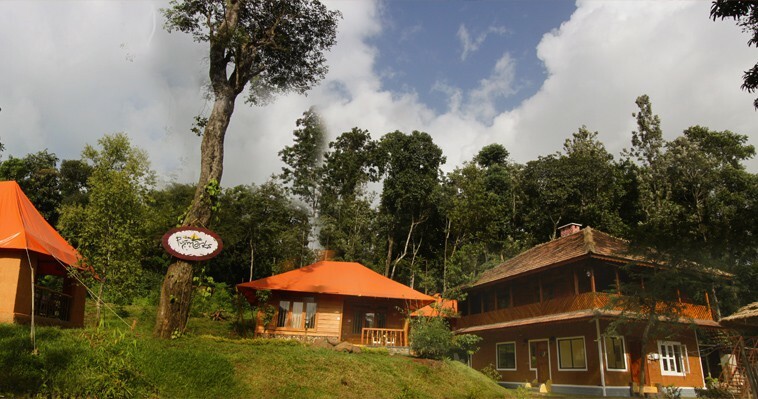 The Emarald Western Ghats Resort is an excellent place located amidst abundant greenery and natural landscapes. Situated very close to the town of Sultan Bathery, the place is very well connected to the rest of the district of Wayanad as well as Kerala. The amenities available at the resort include Free Parking, Conference Facilities, Children Activities (Kid / Family Friendly),Room Service, Airport Transportation, Breakfast, Business Centre with Internet Access, Multilingual Staff, Restaurant, etc. In addition to the above, there are a great number of activities that one can enjoy which includes fishing, hiking, safaris, etc. The price for the rooms at the resort starts at Rs 4500. Located right in the midst of greenery and natural beauty is the Lantern Stay, an excellent place for one to get some much needed rest and relaxation from the hustle and bustle of urban living. Situated in a place quite far away from anything resembling civilization, the resort makes for a most amazing stay, making a most memorable getaway for almost any and all tourists. The resort has a variety of amenities available such as free parking, breakfast, restaurant, etc. There are options for one to go for trekking and other nature activities from here, owing to the proximity it has to popular scenic spots around the area. The price for the rooms starts at around Rs 8000. 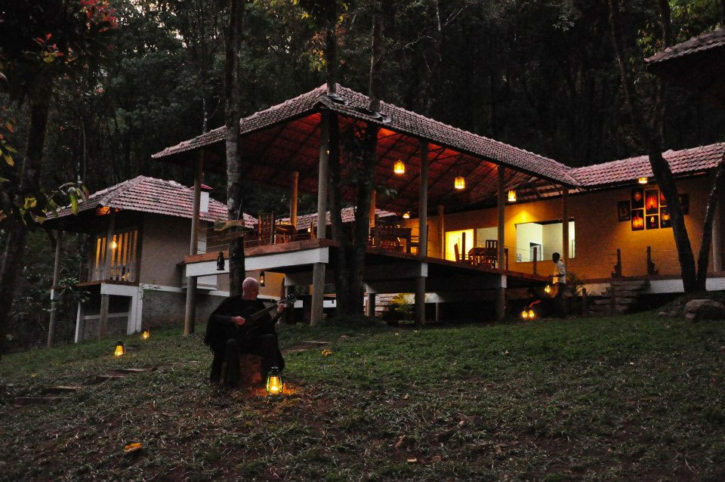 In all, these are some of the best jungle stays that one can experience while holidaying in Wayanad. While there are certainly a lot more places that one can look forward to spending one’s holiday, these places are a good start when it comes to finding a place to stay at while in this picturesque destination.